THE CHATROOM | HOW TO ENCOURAGE AUTHENTICITY. I read a few weeks ago that the trending and viral Socality Barbie account on Instagram was quitting. 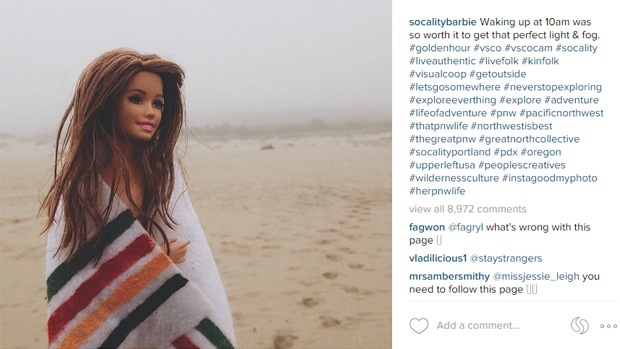 I'm sure many of you are familiar with that feed, but if you're not, it's essentially an Instagram account that as Darby--the girl behind Socality Barbie--said was made as a "commentary to dishonesty in social media." When I first found the feed, I was captured by just how accurately she accomplished just that. The photos of the Barbie she used were very hipster-esque, and as someone who's from the PNW and who loves photos of fall leaves and mountain hikes, I found myself mesmerized her work. But after reading that article, I started to think more and more about authenticity and social media and how hard it is to have both. It's so easy to just share that perfect photo that's been edited and covered up with filter after filter. And how easy it is to share that perfect selfie, that in reality, took 100 shots to create. Or how the hashtags we use make it seem like our lives our perfect and we are worth following, when are lives really aren't perfect at all. And it's made me think more and more about the feeds I follow, the blogs I read, and the posts I create myself. As someone who craves truth, originality, and authenticity, I need to surround myself with that and participate in that as well. I cannot simply expect it if I am not willing to share the nitty gritty, the feelings felt behind that camera and smile. So here's to authenticity. Here's to the balance of beauty and mess. And here's to embracing the two, too. Did you follow Socality Barbie? 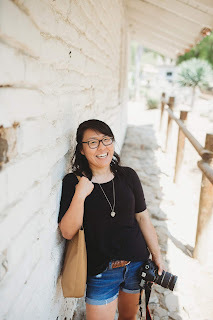 What do you think about authenticity and social media? Do you find it easy or hard to accomplish? Do you purposefully surround yourself with it?